The Old Town (Stare Mesto) is steeped in history. From the 9th century onwards, merchants from all over the world would meet here, at the crossroad of trade routes. Some of them chose to settle here, leaving their mark on the town’s unique atmosphere. 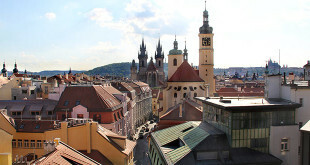 The Old Town is positioned on a bend in the Vltava river and grew up around Old Town Square. The southern part of Old Town is mainly a maze of narrow streets and arcaded courtyards that conceal gabled houses, cheerfully painted shopfronts, churches and taverns. 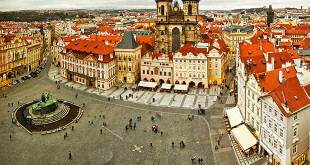 Old Town Square, the Astronomical Clock and the Old Town Hall are the best attractions which every visitor while walking in this district must see. The Charles Bridge links the Old Town to the Lesser Quarter. Remarkable sights located in the Old Town.